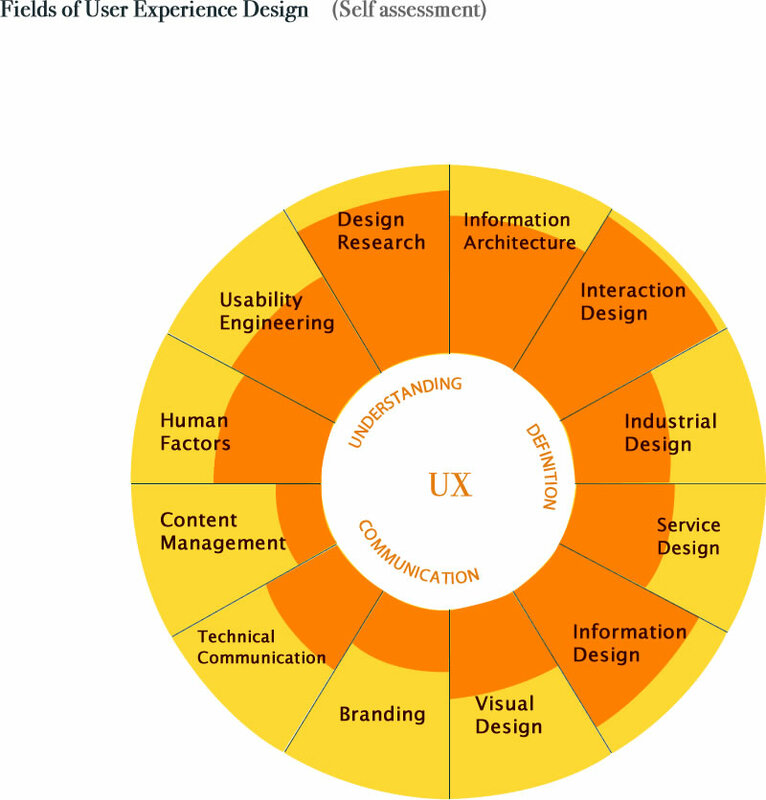 Like every senior practitioner within the fields of UX, I too have cast my modeling hat in the ring when it comes to defining User Experience Design. 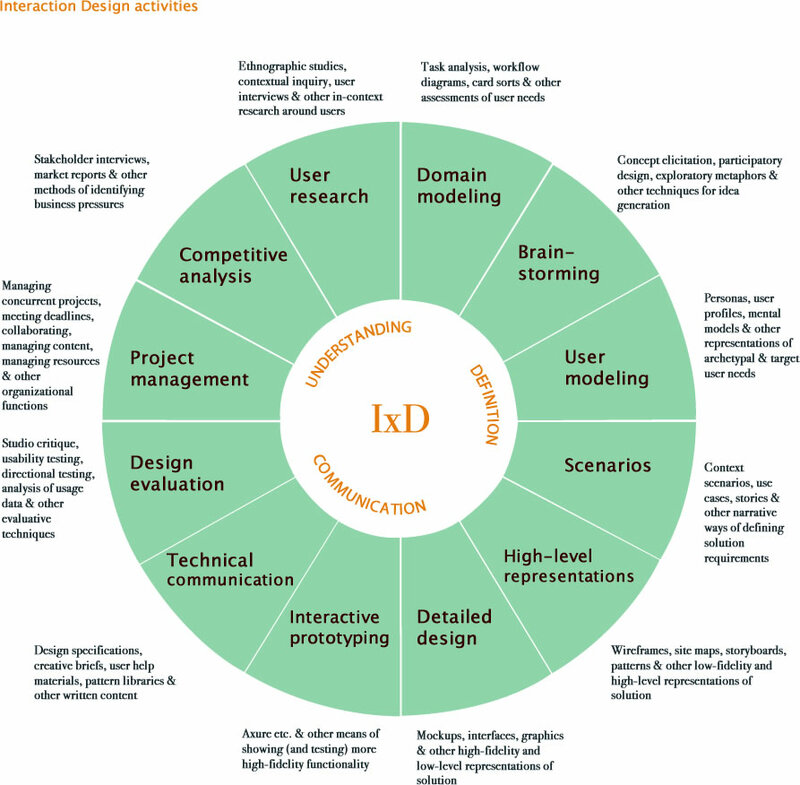 Note that already I come from a design perspective; my own roots lie in Interaction Design and Design Research, while I have particular interest in Human Factors Engineering and the management arms as well. 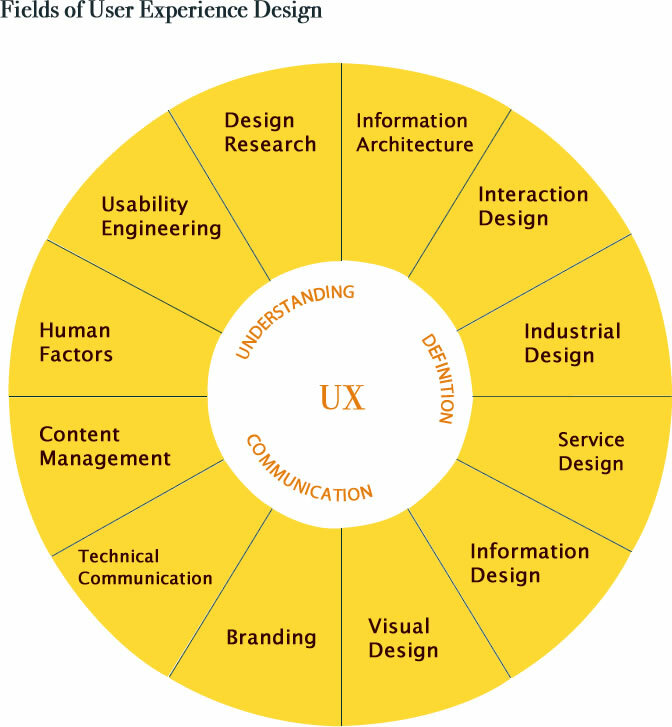 I’ve proposed a view that represents the fields of User Experience Design organized on a spectrum comprised of the soft skills we all possess: Understanding; Definition; Communication. We must excel in understanding people, technology, domains, problems; we must excel in providing definition to that understanding and advancing it towards a goal, in terms of defining models, approaches, scenarios, solutions, frameworks, systems; and we must excel in communicating this user-centered understanding and solution definition in all ways, including visually, verbally, and into development and launch which gets into product management territory. And an awesome update! 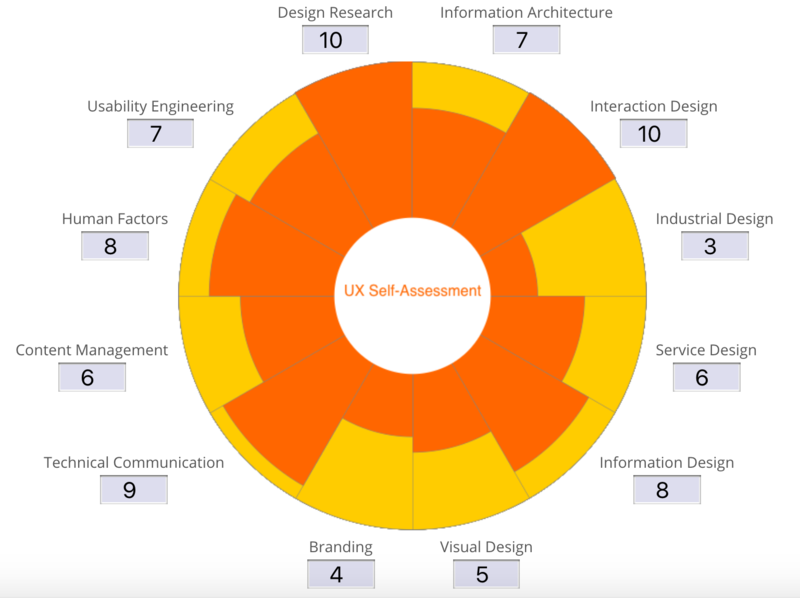 The good folks at UX Mastery, who used this sundial model in their book and related materials to help up & coming practitioners, inspired an intrepid person to create an actual interactive UX self-assessment tool. Go check it out! Go forth, design and develop!